In Japan, 'Sliced-Up Actors' Are A Dying Breed Gangster and samurai movies have long dominated the Japanese film industry, and both genres require high body counts. Kirareyaku, or "sliced-up actors," specialize in meeting that need. The group's leading light, Seizo Fukumoto, has died at least 50,000 times — on screen. Japan is home to Asia's oldest and largest motion-picture industry, with its own unique genres and traditions. While every film industry has stuntmen, only Japan has a class of actors whose main job is to be sliced and diced by samurai sword-wielding protagonists. But the decline of period dramas means that this class of actors is literally a dying breed. At the Toei Company's film studios in Japan's cultural capital, Kyoto, fight choreographers rehearse for an upcoming stage show. Kirareyaku, or so-called "chopped up actors," are staging the show in hopes of reviving audience interest in period dramas. Veteran fight choreographer Mitsuhiko Seike directs the actors as they slash and parry with wooden swords and daggers inside the studio's own dojo, or training hall. The most senior actor on stage is Seizo Fukumoto, to whom Seike respectfully refers to as his sensei or teacher. "As a fight choreographer, I always turn to Fukumoto to act in crucial scenes," Seike confides during a break in the rehearsal. "It's not just his technique, but his expressiveness. He always adds value to my choreography." Fukumoto's career spans a half century, originating in the postwar heyday of Japanese cinema. Since then, he has gushed forth rivers of fake blood and been cut to ribbons that would stretch for miles. He has been killed on screen more than 50,000 times — more than once in some films. 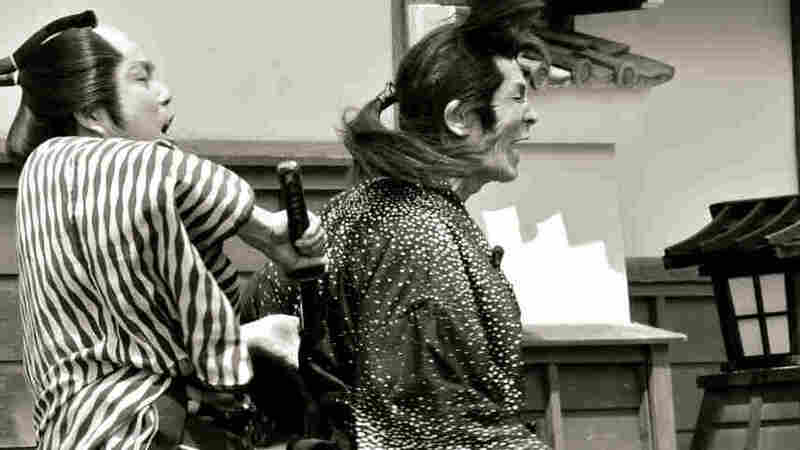 In the postwar era, period dramas, including samurai films, were an important form of thinly veiled criticism of modern society and institutions. But such obliqueness is no longer necessary. 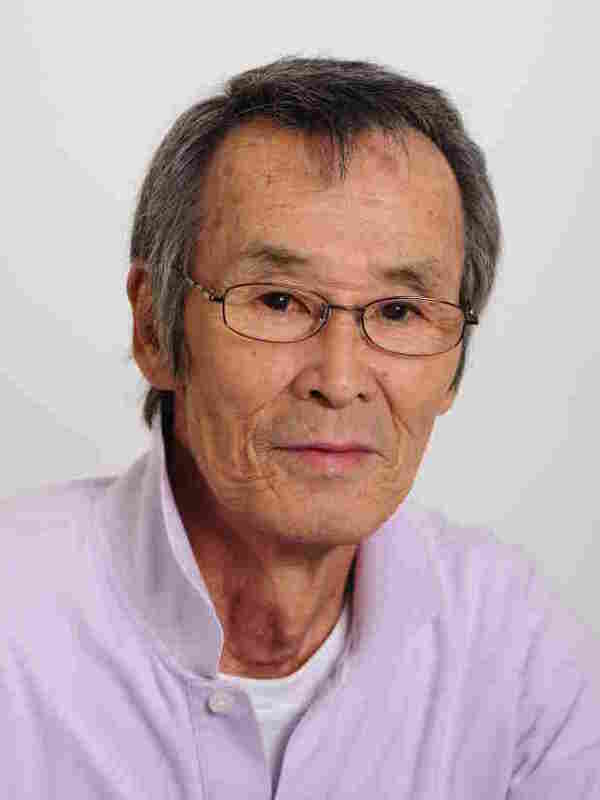 Now 69, Fukumoto recalls landing his first job in the movies as a stuntman and extra with Toei studios in 1959. "When I was younger, our studio had some 400 stuntmen and extras," he remembers. "I wanted to stand out. I wanted to be on screen. The best way to do that was to become a 'chopped-up actor' and to fight with the stars." Fukumoto's art is known in Japanese as tate, a stylized sort of stage combat that combines elements of martial arts, dance and kabuki theater. Its use in Japanese film has influenced foreign cinematic styles from "spaghetti Westerns" to Hong Kong kung fu flicks. But few Japanese actors practice it today. In a trademark move, Fukumoto is dealt a fatal blow, then bends over backward, seemingly suspended in midair for a moment of final agony before crumpling to the ground. He says his movements have an awkward grotesqueness to them; it's called buzama in Japanese. "Whenever we die, we have to do it in a way that is unsightly or clumsy, not graceful," Fukumoto explains. "In this buzama, we find beauty. To die in an uncool way is the coolest." He's never been the leading man, but Fukumoto has still managed to attract a large and loyal international following. But despite his fame, his career as professional sword fodder is almost by definition self-effacing. Fukumoto in one of the numerous period costume dramas he has acted in for the Toei Company's film studios since he began work there in 1959. "I'm not a great traditional artist or craftsman," he insists modestly. "It's just that I've been doing this for 50 years, and I want to pass on something of my chanbara technique to the younger generation." The Japanese word chanbara mimics the clash and clang of swords, and refers to the sword-fighting movie genre. Fukumoto says that the nastier his simulated death, the brighter the leading actor shines. Capping a long and gory career, Fukumoto guards over Tom Cruise in the 2003 film The Last Samurai. 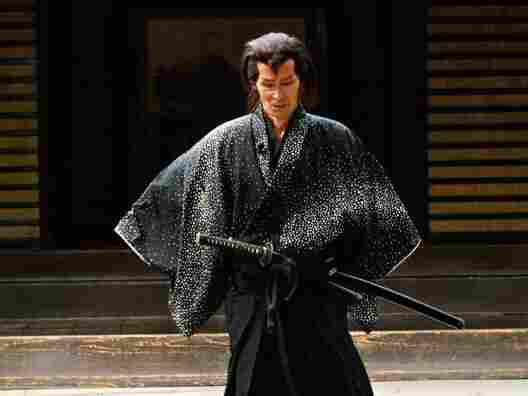 In the film, Cruise plays a post-Civil War U.S. Army captain who travels to Japan, where he learns to wield a samurai sword — rather well, in Fukumoto's opinion. Cruise joins a band of samurai in their last charge against Japanese imperial soldiers equipped with modern firearms. You can imagine how that ends. Although his art seems to be facing a similar fate in the Internet age, Fukumoto seems content with what he has achieved in his obscure profession — and with the prospect of always being remembered for being dismembered.